In large bowl, toss all ingredients except peanuts. Top with peanuts. When fresh peaches are not in season, you can use frozen peaches (just let them thaw at room temperature) or canned peaches that are well drained. 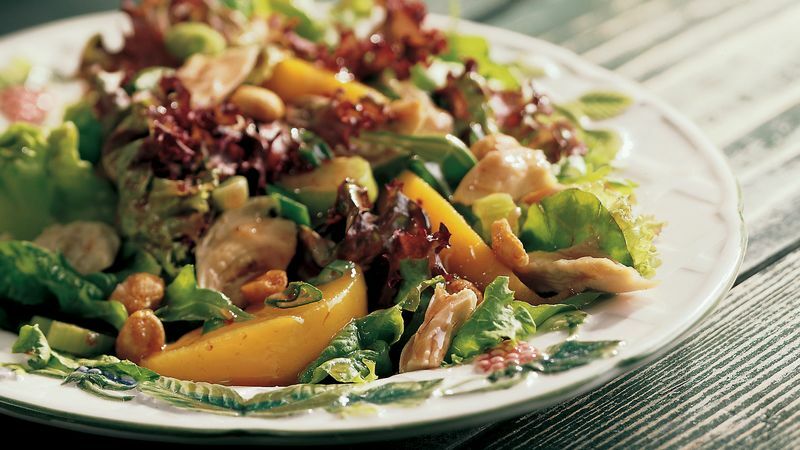 For crisp tossed salads, add the dressing and toss just before serving.